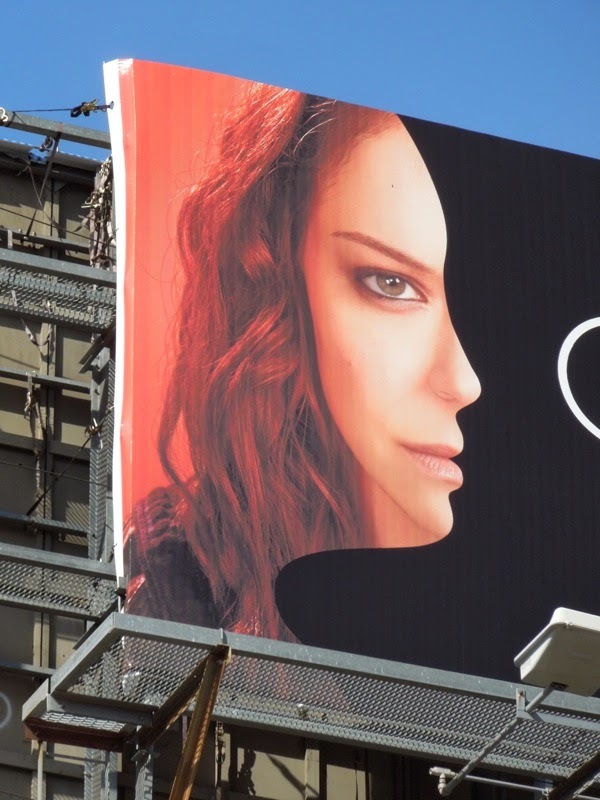 The woman of many faces is back and you have to agree, Tatiana Maslany is one of a kind. 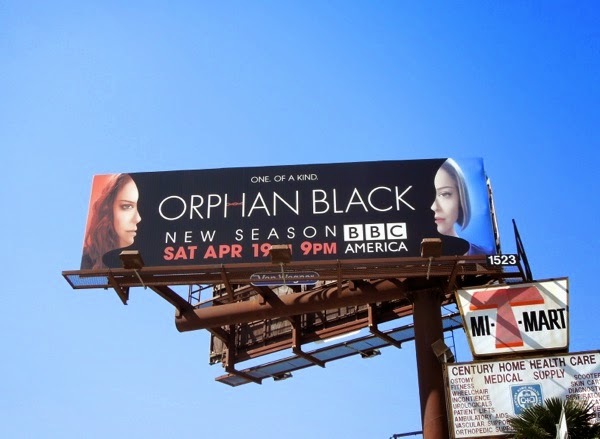 BBC America's clone drama Orphan Black was the sleeper hit of 2013 and the Canadian actress herself who plays multiple characters, often side by side on screen, received critical acclaim and even garnered a Golden Globe nomination for Best Actress in a TV drama. 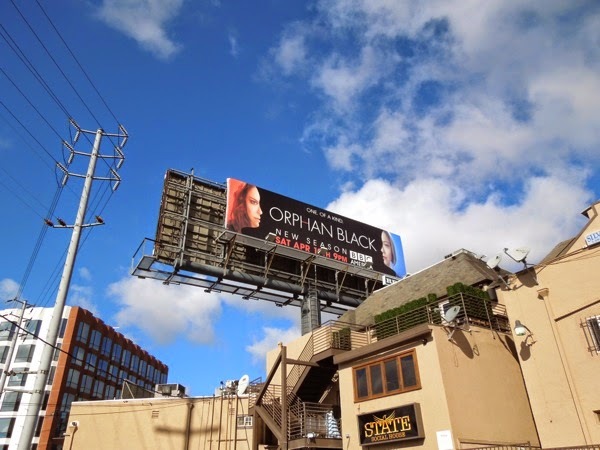 If you've not witnessed her astounding performance in the sci-fi conspiracy thriller yet, it's time to get on board for the second season where we're about to meet even more of her new faces. 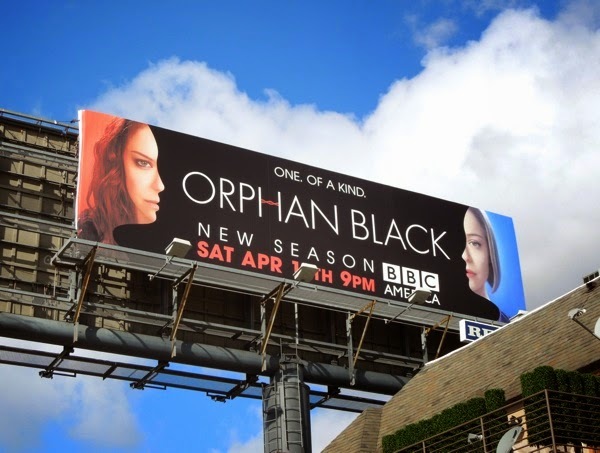 Whether it's streetwise 'Sarah Manning' who's now in search of her daughter, paranoid soccer mom 'Alison', lesbian biology student 'Cosima' or pro-clone 'Rachel', Tatiana Maslany's portrayal of all her carbon copies is always captivating. Sarah and her duplicate 'sisters' are caught between two warring factions, the Neolutionists of the Dyad Institute, who are searching for evolutionary perfection, and the ultra religious Prolethians, who see the clones as abominations against God. 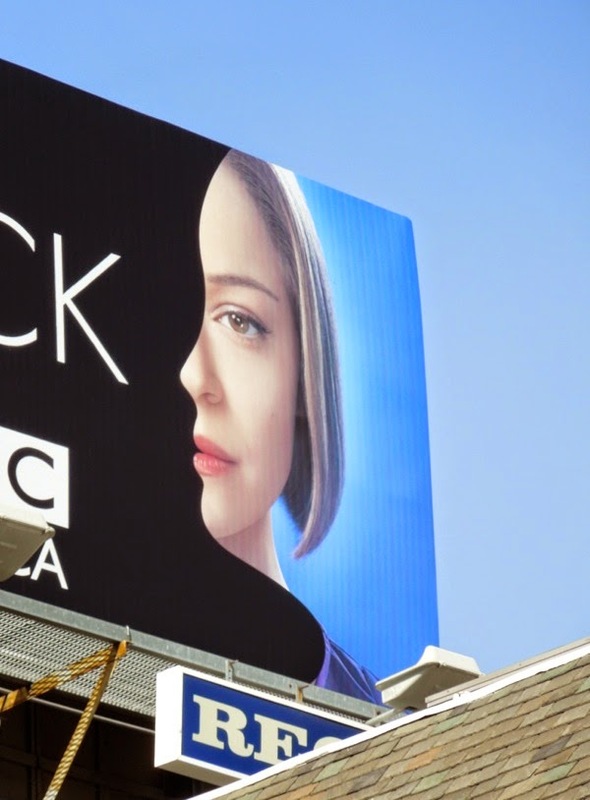 This season two Orphan Black ad creative really is a clever design, with the portrait of the characters Sarah and Rachel overlaid onto a side profile cut-out of a face, it really helps convey the themes of identity and genetic cloning in the show. 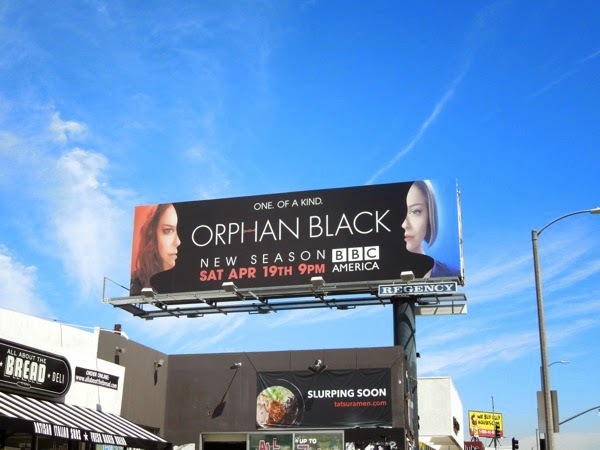 These cool billboards were spied along L.A.'s Sunset Strip on April 1 and along Santa Monica Boulevard in West L.A. on April 3, 2014. 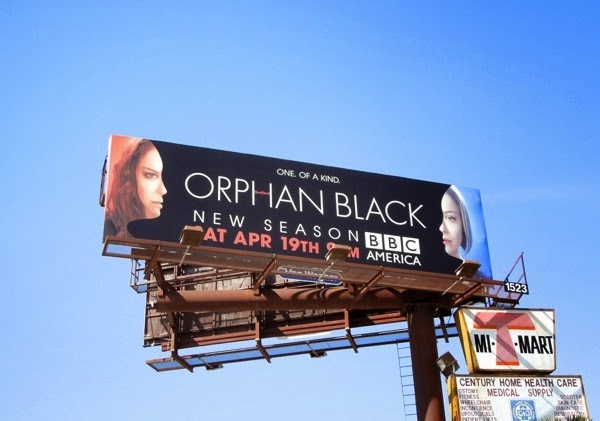 If you're a fan of the show, be sure to also check out this season one Orphan Black billboard from last year. 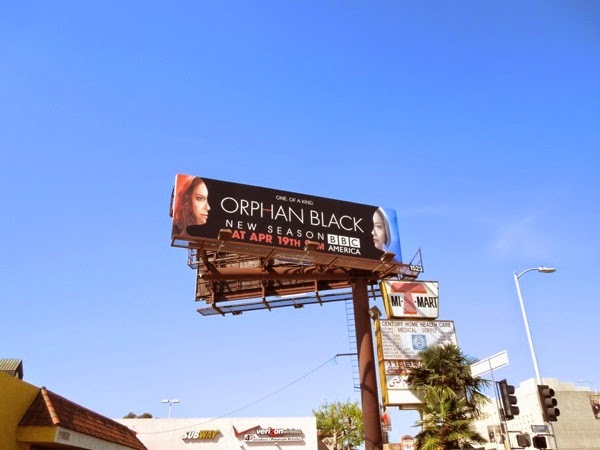 Let's see if this cult clone thriller can become a mainstream hit in its sophomore season. 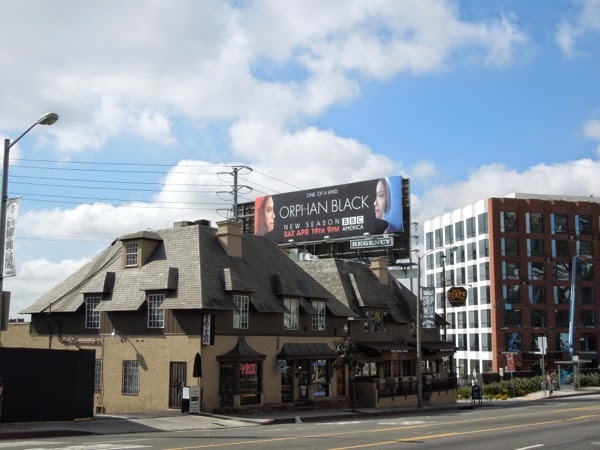 UPDATED: Here's another billboard for Orphan Black's attack of the clones spied along L.A.'s Melrose Avenue on April 9, 2014.